We are constantly reporting on the latest innovations in the marine industry which offer weight savings whilst, at the same time, increasing safety factors. The result: lighter, faster, safer and more exciting sailing. Whilst performance enhancing marine electronics - such as nke - continue to thrive in popularity, more and more people are also choosing to turn their heads towards the automatisation of various sailing systems. Recently, there has been an increase in electric sailing systems across the board - from motors, to winches, to furlers - allowing sailing to become more accessible to an aging population. As the trend for flying code zeros and asymmetric sails – which require a bowsprit - also increases, at upffront.com enquiries from cruisers looking for code zero furling systems have more than tripled, with many opting to go electric for increased comfort, ease and enjoyment. 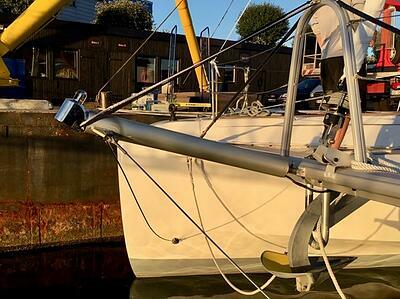 One electric furling system that has proven popular is the Loop Products E-Furler, which – with a SWL of 750kg – is suitable for furling code zeros or gennakers on smaller sports boats up to 25 foot. However, what are the options for the 40 - 60 footers? Enter, the Bamar BSWE Electric Bowsprit Furler. Bamar are a top end brand who - although rooted in super yachts and larger vessels - are expanding to the smaller boat market. Their superyacht heritage positions Bamar as a well-respected manufacturer; a powerhouse of engineering excellence, Bamar products are known for being reliable, durable and powerful. It is for this reason that both the existing 10 tonne SWL and 20 tonne SWL versions of the Bamar BWSE Electric Bowsprit Furler have already proven a huge success. However, over at upffront.com we recognised the market demand for a smaller BWSE - and asked Bamar to consider manufacturing just that! The result is the new, precision engineered, 5 tonne SWL Bamar BWSE Electric Code Zero Furler - for monohulls up to 60ft. Unique in the market, the Bamar electric bowsprit furler is mounted inside the bowsprit tube. Operated via remote control, the high performance electric furler has been engineered to an unparalleled specification, showcasing reduced weight, easy installation and low maintenance. The small, compact unit is available in 12V and 24V, and aims to improve handling, comfort and safety onboard via its two speed motors – low torque/high speed or high torque/low speed. To complete the system, the Bamar BWSE furling unit requires a swivel and electronic ‘Boxtron’ control box, which are sold separately. 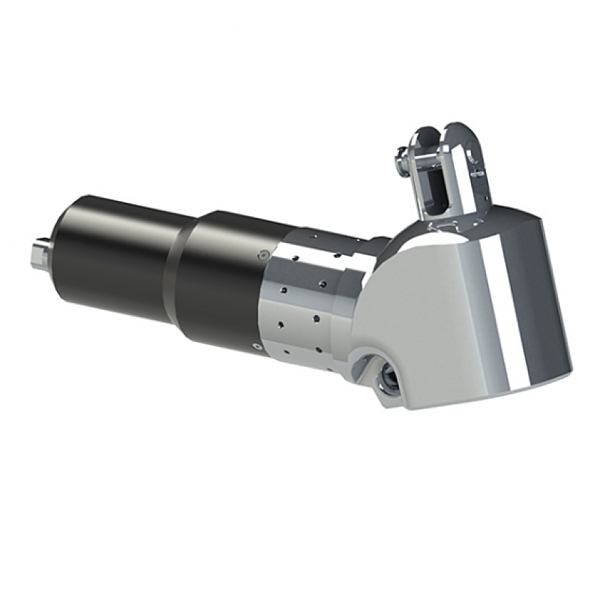 In addition, as a semi-custom product, the furler will require system customisation and specialist installation, which we can arrange through one of our worldwide network of installation partners. Complete this form to subscribe to our blog.